Google rules our minds. . .? ? ? 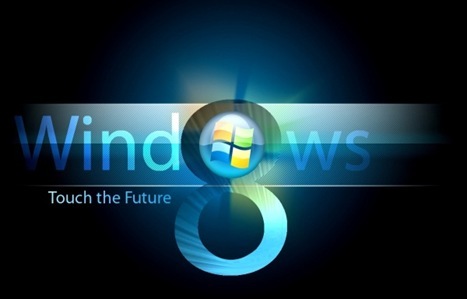 An expert on user interface design has called Windows 8 “disappointing” for novices and power users alike. Jakob Nielsen, principal of the Nielsen Norman Group, studied how a dozen experienced PC users interacted with Windows 8, and the conclusion was not good. Although the sample sizes of Nielsen’s studies are small, he argues that they provide more insight than larger studies focused on metrics. Even if you don’t agree with that assertion, Nielsen does make some good points about how the design of Windows 8 needs improvement. Nielsen’s main gripe, unsurprisingly, is the dual nature of Windows 8, which combines desktop and touch-friendly environments into a single operating system. Not only is the user interface inconsistent, it also requires users to remember where to go for which features, and to waste time switching between interfaces. Also, when users are running a Web browser in both interfaces, they can only access a subset of their open Web pages at any given time. But even the Modern-style interface on its own has some major problems in Nielsen’s view. He felt that the inability to open multiple windows of a given application creates a “memory overload” for complex tasks, because users have no way to see all the information they’ve collected. The charms panel, he said, hides generic commands such as search and individual app settings, so they’re “out of sight, out of mind,” especially for novices. As a layman, I don’t agree with all of Nielsen’s assertions. He knocks some Modern-style apps for having “low-information density”—for instance, the Los Angeles Times app, which shows little more than a large image and a headline on its opening screen—but I actually find those sparser layouts to be refreshing. Nielsen points to the Times’ website as a better use of space but, in my opinion, it’s too cluttered and does nothing to draw the reader in. Still, the study does point out some frustration points that I’ve noticed on my own. 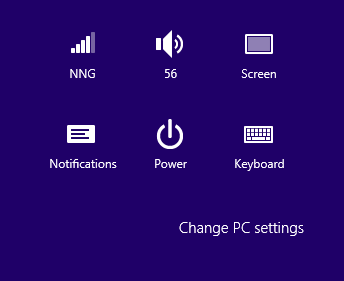 For instance, Nielsen claims that some Live Tiles in Windows 8 are too active for their own good, so it’s hard to tell at a glance which apps you’re actually looking at. Indeed, it can be frustrating to hunt down a particular app when confronted with a series of thumbnail images, none of which displays the name of their respective apps. At the end of the report, Nielsen notes that he’s not a Microsoft hater—he praises the sometimes-maligned Ribbon of Microsoft’s desktop apps—and hopes for a better Windows 9, noting that the company has a history of correcting its mistakes. Also, keep in mind that nitpicking user interface issues is Nielsen’s job. He’s previously done the same for Apple’s iPad and Amazon’s Kindle Fire. Disagree if you like, but I think it’s interesting to read a close analysis of the Windows 8 user interface. It’s a big change for Windows, and it’s obviously going to need some tweaking. Hopefully Microsoft takes some of Nielsen’s suggestions to heart. 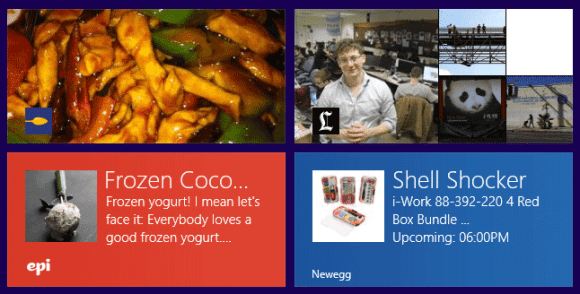 For more on the Windows 8 interface, check out our report on what several UI experts think.